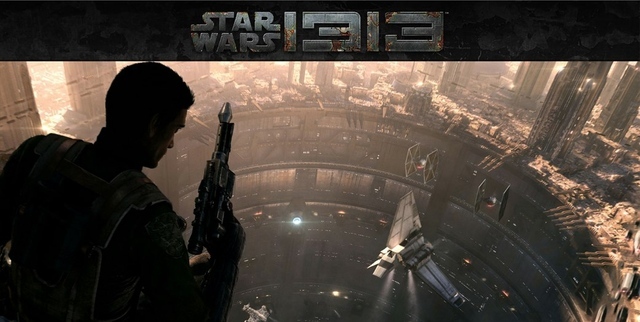 LucasArts announced a new Star Wars game series today, confirming that Star Wars 1313 is a game focusing on the adventures of a bounty hunter in the Star Wars universe. The studio said that the game is an internally-developed third-person action adventure where players will assume the role of a bounty hunter navigating a subterranean metropolis called Level 1313 beneath the surface of the planet Coruscant. I’m on mixed feelings about this game. On the one hand, it’s a new game in the star wars universe, but on the other hand, it’s a new game in the star wars universe..
Star wars games have been hit or miss over the years, so I’m hoping this one is more like the classic games and are a hit, compared to the more recent games.